Properly adjusting the way your body is aligned while sleeping can make a huge impact towards getting a good night's rest. The Best in Rest™ premium quality reversible 2 in 1 pillow incorporates our new patented herbal infused memory foam technology that helps users achieve a deep relaxing sleep like no other pillow was able to do before. Specifically designed to give exceptional support and comfort to users sleeping in multiple positions. Most memory foam pillows incorporate a regular foam in the center which loses support over time diminishing the effectiveness of the pillow. 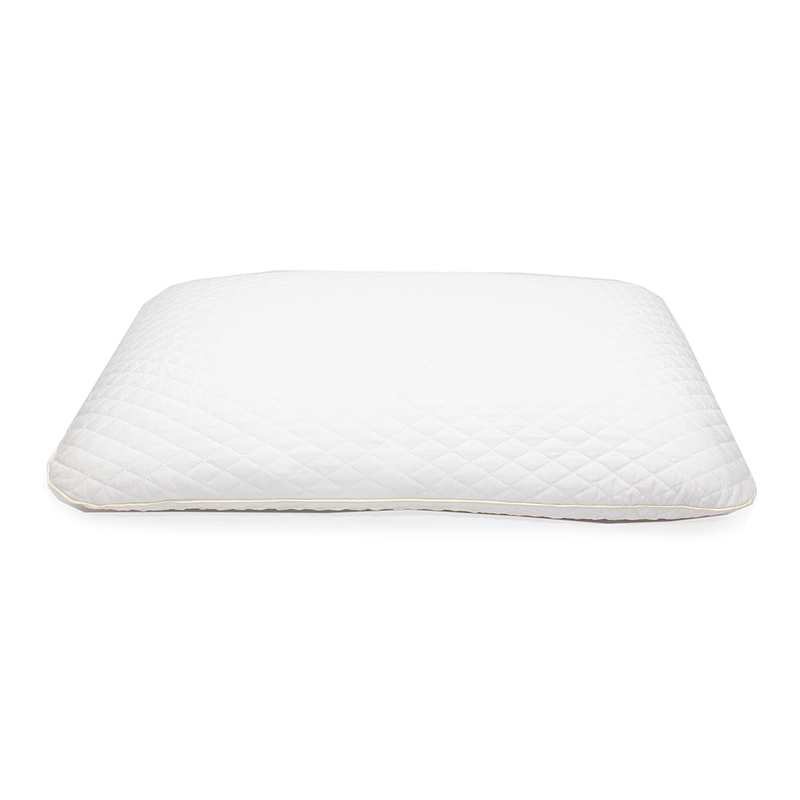 Our 2 in 1 Memory Foam Pillow has all 3 layers made with 100% memory foam to ensure a consistent support and comfort for many years to come. Regular memory foam pillows suffer from poor air circulation and heat build-up resulting in excessive sweating and poor sleep. 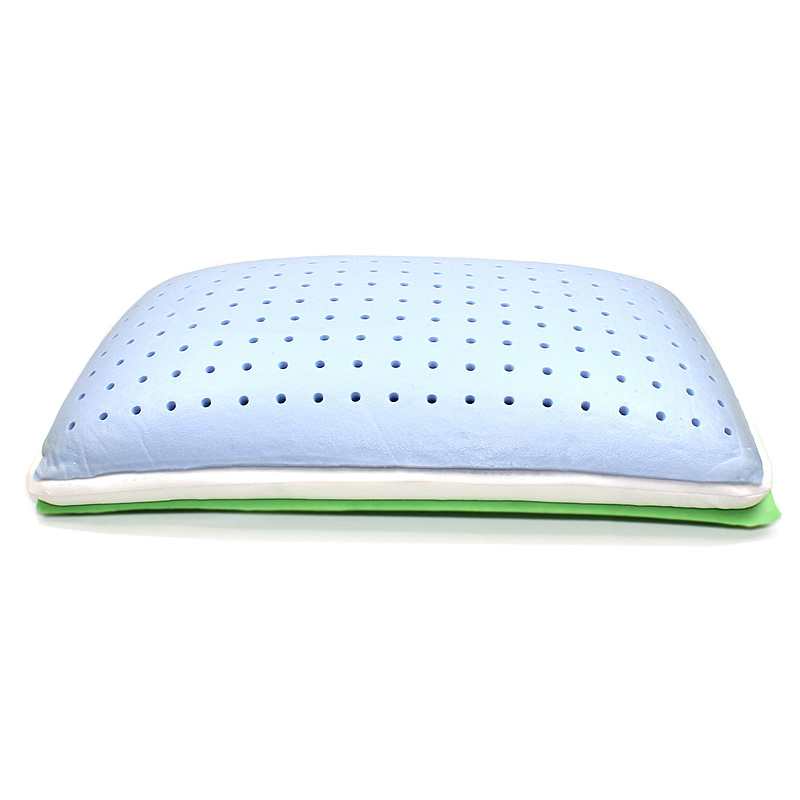 Our memory foam pillows incorporate perforated layers to promote air circulation from the core of the pillow throughout. 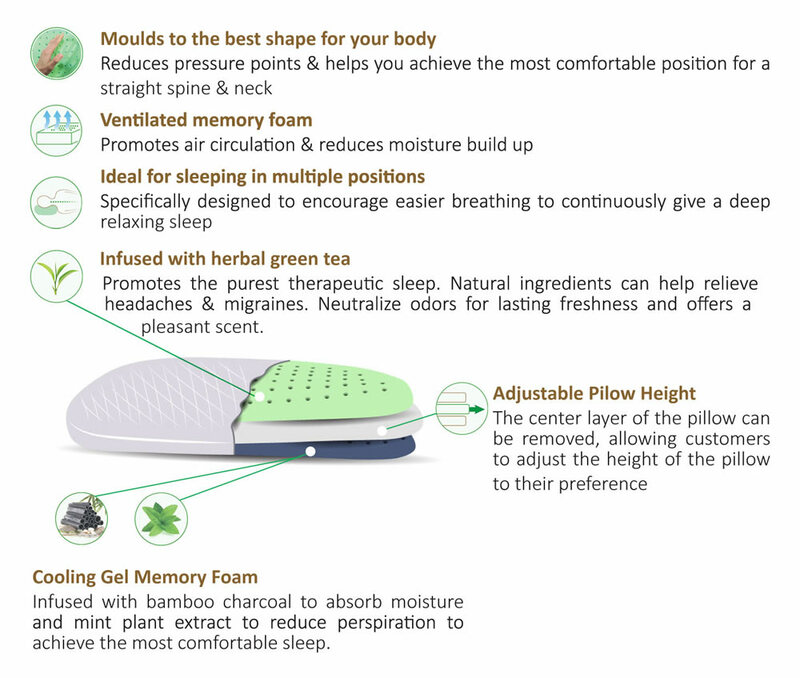 A luxurious premium quality reversible pillow with patented technology of herbal infusion memory foam that help users achieve a deep relaxing sleep like no other pillow before it.